JazzCash has announced that during the year 2016 a record 100 million plus financial transactions were performed through its mobile accounts – almost four-times more than 2015. In addition to this, with more than 1.5 million monthly active mobile account users, JazzCash is now the leading mobile financial services provider in the mobile account category. “I also want to take this opportunity to welcome our Warid customers to JazzCash. We will continue to strive hard in providing the best possible financial solutions to all our customers,” she further added. 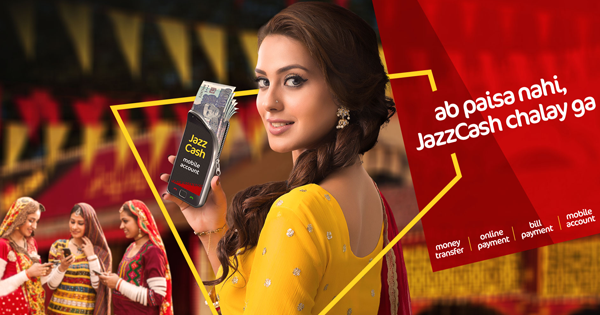 JazzCash Mobile Account can now also be accessed by Warid’s 10 million plus subscribers, who can register free of cost by dialing *786#. Warid subscribers will be able to take advantage of all Mobile Account services through a USSD interface as well, in addition to the Mobile App. JazzCash Mobile Account is increasingly becoming popular in providing digital financial services to Pakistanis from all walks of life. With a newly redesigned USSD interface and an Android Mobile App, the account can be accessed anytime, anywhere by customers across the country who can deposit and withdraw cash from over 65,000 JazzCash Agents. The product fulfills all basic financial services needs of customers including deposits, money transfer, bill payments, mobile top-ups, savings, insurance, ATM cards and payments for a variety of services.